KARACHI: In a bid to strengthen bilateral relations, Pakistan and India Saturday decided to allow greater trade through land route, signalling a thaw in relations after a year�s standoff over military tensions on the border. 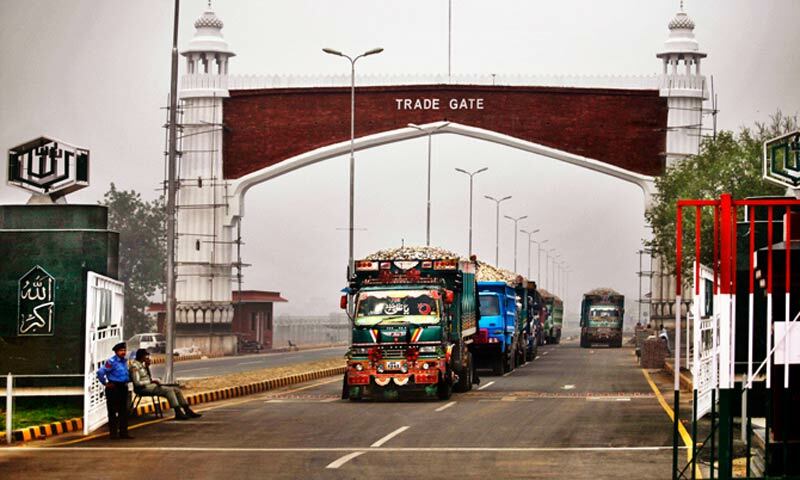 They agreed to allow round-the-clock movement of trucks and containers through Wagah-Attari border, the main border crossing between the two South Asian neighbours. Trade ministers of the two countries meeting in New Delhi also approved a liberalised visa policy for businessmen to help expand two-way trade, which was barely $2.5 billion in 2012/13fiscal year against a potential $10 billion. Both sides hope closer integration of Pakistan with India's giant economy would help lay the ground for a lowering of political tensions between them. �We have agreed that we will open Wagah-Attari border 24/7for trade,� Anand Sharma, India's trade minister told reporters. The border gates at the moment are open only from dawn to dusk. Pakistan also agreed to provide non-discriminatory market access to Indian companies. Over the last year there was little movement on trade because of a series of incidents over military control of the line dividing Kashmir between the two countries. Two years ago, the two countries set a goal of taking bilateral trade to $6 billion by 2014, which now seems difficult to attain. Pakistan's Commerce Minister Khurram Dastgir Khan said the country's central bank had proposed its Indian counterpart grant banking licences to three Pakistani banks, a move which would be reciprocated by his side. �In the banking sector we are hoping to have some progress, very rapid progress,� he said. Both Indian Prime Minister Manmohan Singh and Pakistan's Nawaz Sharif who took power last year are keen to rebuild ties. Pakistan's economy grew at 3.6 per cent in 2012/13 and the government was forced to borrow $6.7 billion from the International Monetary Fund (IMF) to avert a default of payments. Sharma said he will lead a business delegation to Pakistan next month.